Humber, William. "Toronto Blue Jays". The Canadian Encyclopedia, 10 September 2018, Historica Canada. 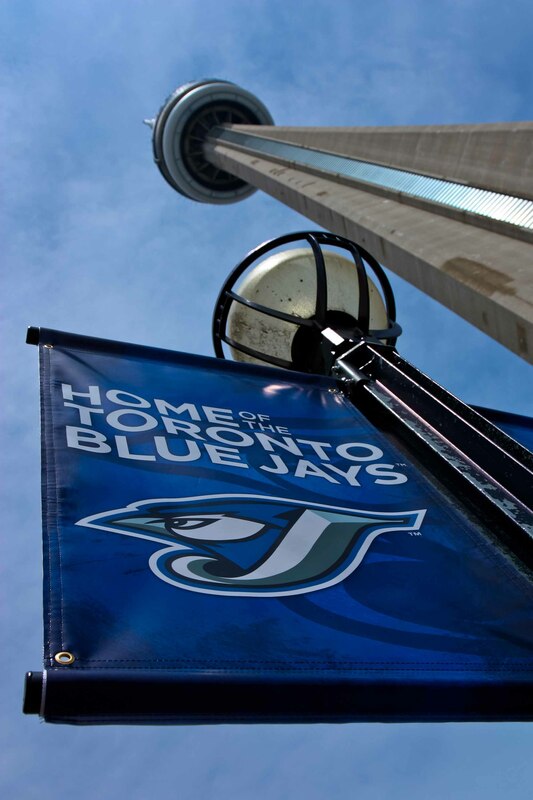 https://www.thecanadianencyclopedia.ca/en/article/toronto-blue-jays. Accessed 22 April 2019. The Toronto Blue Jays are a professional baseball team based in Toronto, Ontario. The team has won six East Division titles, two AL pennants and two World Series titles. The Toronto Blue Jays are a professional baseball team based in Toronto, Ontario. The team plays in the East Division of the American League (AL), one of two leagues that make up Major League Baseball (MLB) in North America. Since the Montréal Expos were relocated to Washington in 2004, the Toronto Blue Jays have been the only Canadian team in the MLB. 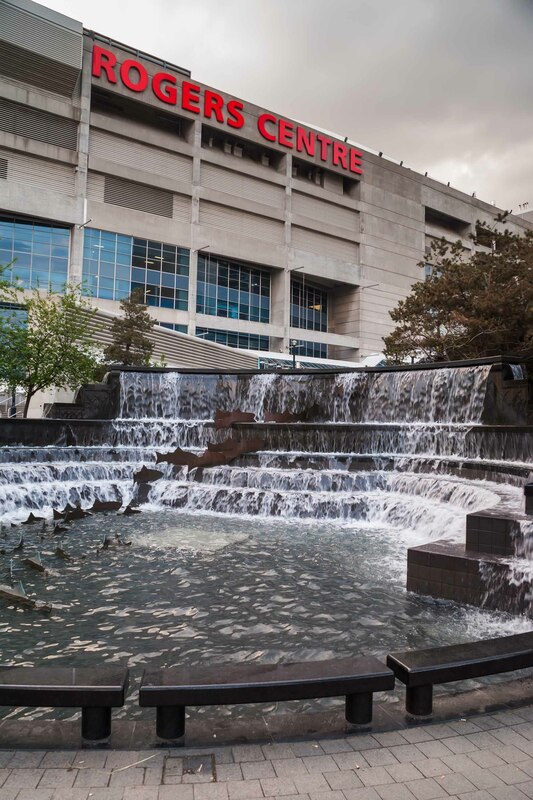 The Toronto Blue Jays were founded in 1977 and were originally based at Exhibition Stadium. 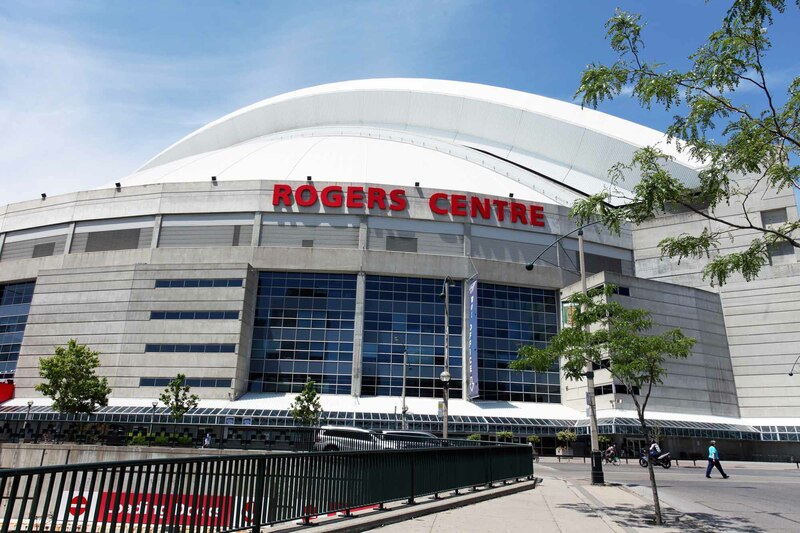 In 1989, they started playing at the Sky Dome (now the Rogers Centre). The team has won six East Division titles, two AL pennants and two World Series titles. In March 1976, the American League decided to expand to Toronto and awarded the franchise to Imperial Trust, Ltd., the Canadian Imperial Bank of Commerce and Labatt’s Breweries. That summer, the club held a Name the Team contest that drew over 30,000 entries. One of the most popular suggestions was “Blues,” but as this had been the name of the University of Toronto’s sports teams since the late 1800s, the board of directors decided on another submission, the “Blue Jays.” The winner of the contest was Dr. William Mills of Etobicoke, one of the 154 people who had suggested the name. As winner, he received a trip to the club’s spring training camp as well as a pair of season tickets. The team’s first game at Exhibition Stadium on 7 April 1977, a 9–5 victory over the Chicago White Sox, was a thrill for the 44,649 fans who had braved snow and freezing temperatures to watch the Jays on their home field. In general, however, the team wasn’t as successful on the field as it was drawing fans; for the first five years (1977–81), the Toronto Blue Jays finished last in the East Division while at the same time drawing record crowds for an expansion club. In 1983, the team celebrated its first winning season (i.e., it won more games than it lost); this would be the first of 11 consecutive winning seasons for the Jays. In 1985, the team placed first in the East Division, although it lost the American League Championship Series (ALCS). The Jays again won the division title in 1989 and 1991. In 1992, the Blue Jays won their first American League championship, defeating the Oakland A's. 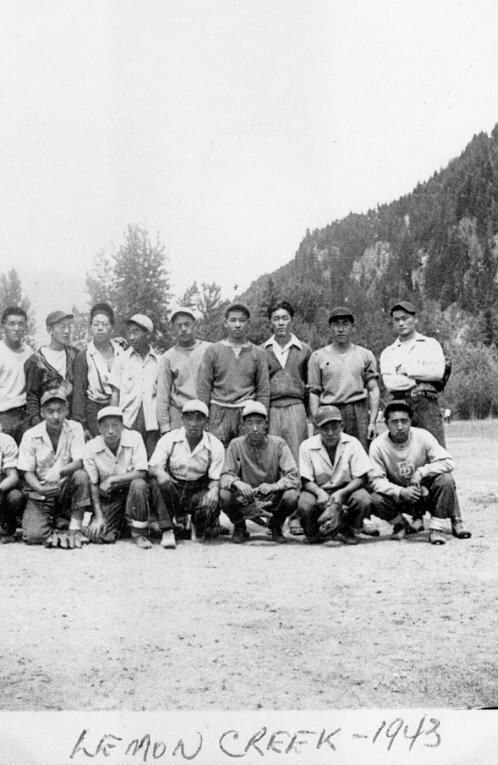 They then became the first team based outside the United States to capture the World Series, defeating the Atlanta Braves in a memorable six-game series. Dave Winfield drove in the winning runs in the 11th inning of the sixth game. 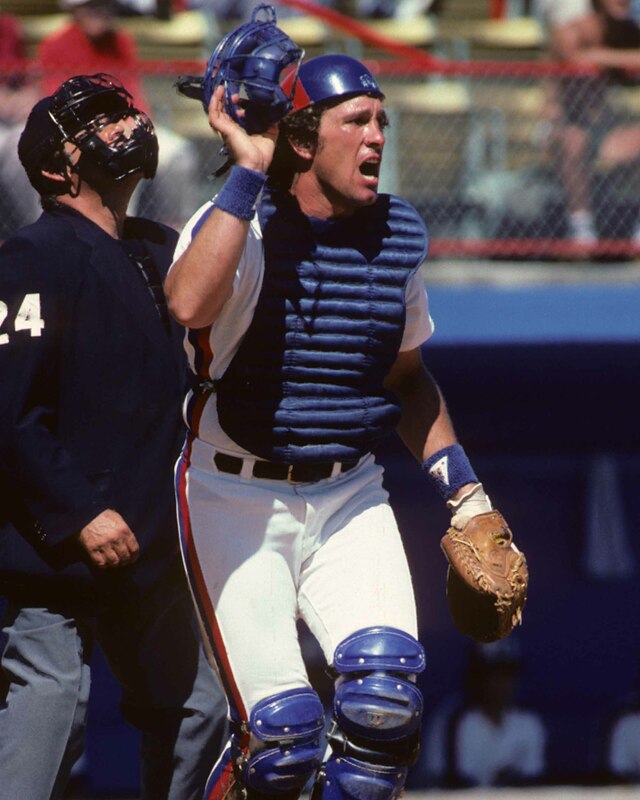 Catcher Pat Borders won the series MVP award. The Blue Jays repeated as American League champions in 1993, despite numerous changes in personnel. John Olerud became the first Blue Jay to win a batting title. The Jays defeated the Chicago White Sox in the American League championship series in six games. Pitcher Dave Stewart, whom the team had signed as a free agent in the off-season, won two games and was series MVP. The Jays went on to become the first team since the 1977–78 New York Yankees to repeat back-to-back as World Series champions, defeating the Philadelphia Phillies in six games. Joe Carter hit a dramatic home run in the bottom of the ninth inning to drive in the winning runs. It was only the second time in World Series history that a series ended on a home run, and it was the first time that the series was clinched on Canadian soil. Paul Molitor, also new to the team in 1993, was voted MVP. The following two decades were a struggle for the Jays. In 1995, only two years after their second World Series title, the team finished last in the East Division. They would hit the bottom again in 1997, 2004 and 2013. Indeed, from 1994 to 2014 they finished last or second-last in the East Division ten times and enjoyed only nine winning seasons in that period. 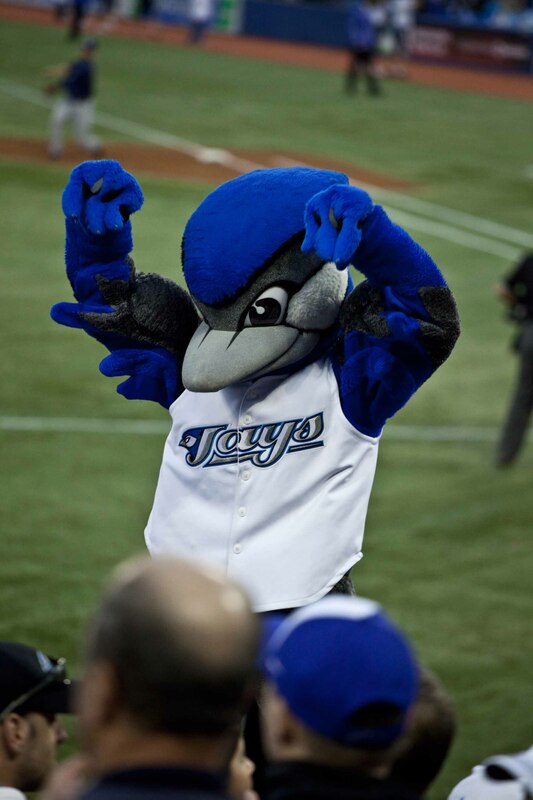 Yet the 2014 season saw improvement for the Jays, who finished third in their division with 83 wins to 79 losses — their first winning season since 2010. The 2015 season was the strongest in over two decades for the team, thanks largely to the off-season acquisition of catcher Russell Martin and third baseman Josh Donaldson, and the late-season addition of shortstop Troy Tulowitzky and pitcher David Price. On 30 September 2015, the Jays clinched their sixth American League East Division title with a convincing 15–2 win over the Baltimore Orioles. They followed this by coming back from a two-game deficit to defeat the Texas Rangers three games to two in the American League Division Series, with right fielder Jose Bautista hitting an iconic home run in the seventh inning of the final game. In the American League Championship Series, the Jays were defeated by the Kansas City Royals, who went on to win the World Series. After an inconsistent 2016 regular season, the Jays finished in second place in the American League East. They secured the first Wild Card berth in the team’s history with a win over the first-place Boston Red Sox in the last game of the season. 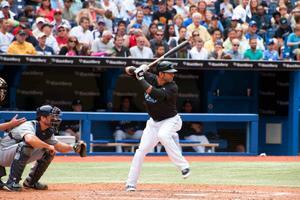 On 4 October 2016, the Jays defeated the Baltimore Orioles 5–2 in the American League Wild Card Game, with first baseman Edwin Encarnacion hitting a dramatic walk-off homerun in the 11th inning. The Jays went on to sweep the Texas Rangers in the best-of-five American League East Division Series, and advanced to the American League Championship Series for the second year in a row. However, they were defeated by the Cleveland Indians, who won four out of five games.